With so many ways to earn and buy Star Alliance miles, like the current 100% US Airways buy miles bonus and the 40% United discount, I thought it would be helpful to summarize the best ways to search for Star Alliance award availability. I’ll be doing the same for Oneworld and SkyTeam in the near future. The Star Alliance has 27 member airlines and serves over 1,300 destinations globally. One of the biggest benefits of an airline alliance is the ability to redeem miles in one member airline’s frequent flyer program for flights on partners. Just to take an example, if you have US Airways miles (a Star Alliance member), you can redeem for flights on Egyptair. Beginners tip: When redeeming miles for an award, you always contact the frequent flyer program of the miles that you are trying to use, not the airline you want to fly on. In this particular instance, however, you would have to keep in mind that USAirways.com does not show Star Alliance partner availability, so you would have to call US Airways to book the flight. If you want to do your own research before calling the airline, there are a number of tools that will help you see what award inventory is available, since member airlines generally make one pool of availability to all alliance members. There are some exceptions, though, like US Airways sometimes blocking Lufthansa first class availability when it’s available to other members, or united.com showing Lufthansa award availability online, but giving an error when you go to actually ticket the award. That being said, doing your own research in advance of calling your airline can greatly increase the chances of getting the flights you want and squeezing the absolute most value out of your hard-earned miles. 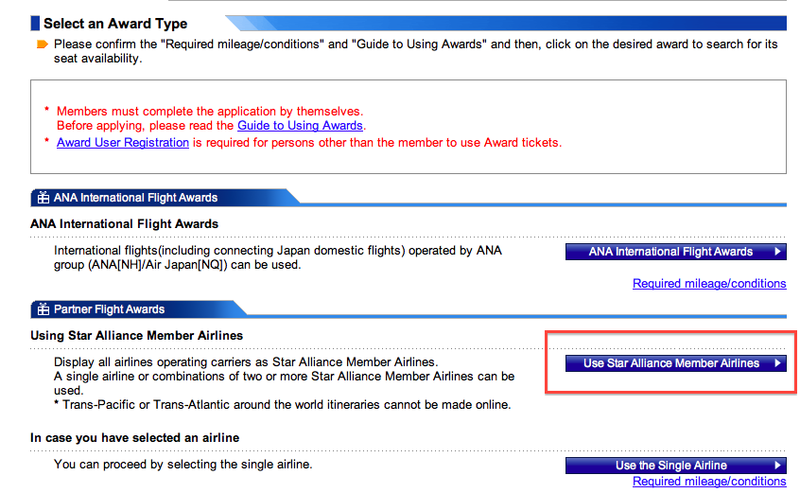 1) All Nippon Airways is a Japanese Star Alliance member whose online search engine pulls in almost perfectly up-to-date Star Alliance award availability. You can sign up for a Mileage Club account here and then login to their search engine here. 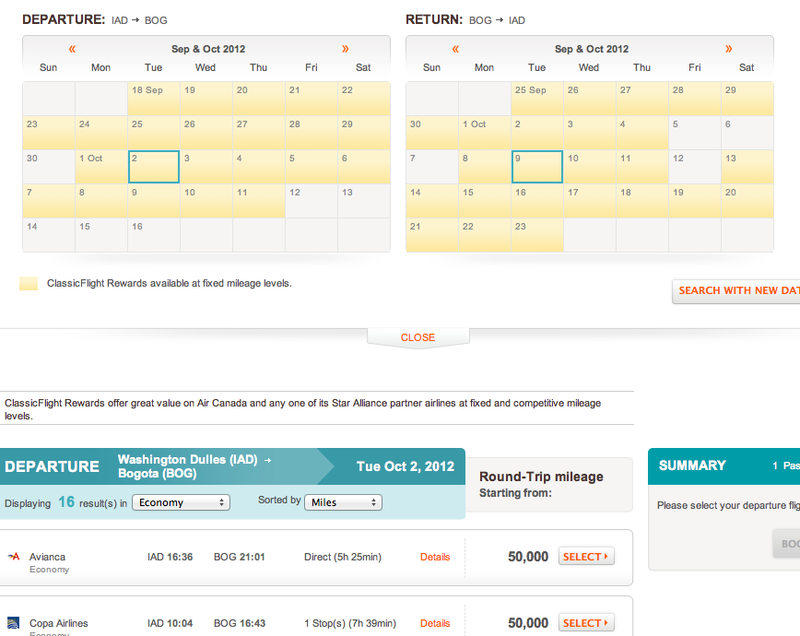 Award availability is shown 330 days in advance, which is less than some of the other engines, like Aeroplan. The only trick is that you need to have miles in your ANA account in order to be able to use the airline’s Star Alliance search functionality (they enacted this requirement when they realized thousands and thousands of people were slowing their systems down by using their search function, which they really only wanted their own frequent flyer members to use). The good thing is that you don’t have to fly ANA to get miles in your account. You can transfer increments of 1,000 miles into your account from Amex Membership Rewards and many hotel programs, but usually at bad ratios (note: if you are a Starwood Platinum you can even transfer as little as 1 point per transaction, though I’d recommend transferring at least 100 because I once only transferred 3 points and it wasn’t enough to activate the search tool). Note that transfers usually take about 48 hours, so plan ahead. Per the Mileage Club T&C: Mileage is valid until the end of the 36th month counting from the month a service or a product was used to earn miles. ANA is not responsible for expired mileage. If you don’t want to transfer miles, travel blogger Seth Miller created a script that you can install that will allow you to access the engine. Once you have access, the tool will allow you to search specific city pairs and will allow you to pull in availability 7 days at a time, though the major downfall of the ANA search tool is its inability to piece together complex itineraries or offer different routing options. It’s reliable in validating actual award availability before calling in to book, but it’s not very helpful when trying to cobble together multiple leg itineraries. 2) United.com is a great way to search Star Alliance availability starting 330 days in advance, though it is a little bit buggy and sometimes shows phantom Lufthansa award availability. Another thing to note is that United has had a lot of technical difficulties since their merger with Continental and sometimes when you book an award ticket online, it won’t actually get ticketed. I’ve experienced numerous issues with putting awards on hold and booking them where I got a confirmation page, but never ended up getting a ticketing email and had to work with reps to get the ticket booked. Always, double and triple check that your United awards are booked and ticketed, especially if you had one booked before the merger on a Star Alliance partner airline. 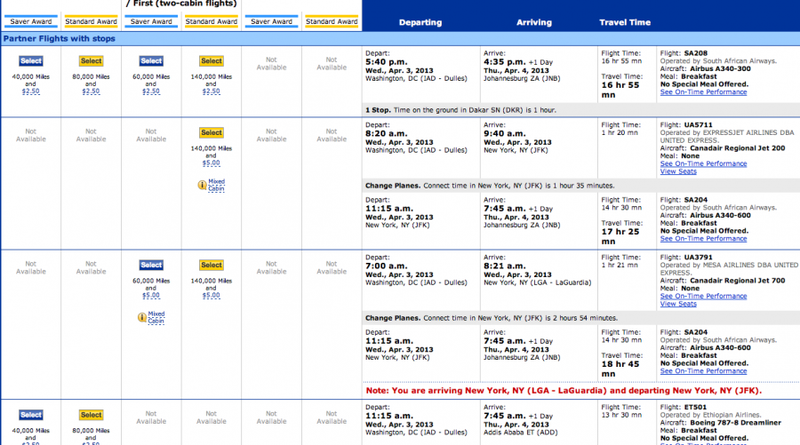 United.com is pretty smart and will automatically try to offer multiple routing options, like in the example above where it suggestions routing via Ethopia or Istanbul to go from Washington, DC to Johannesburg, South Africa. Just note the *Mixed Cabin symbol- sometimes award segments will be in a lower class of service than the column in which its listed. 3) Aeroplan.com also has a robust Star Alliance search engine that searches award availability starting 356 days in advance. The only thing to note is that Aeroplan has lax routing rules, so Aeroplan.com may show a “round the world” routing that may actually violate the routing rules of other airlines like US Airways and United. However, it’s always worth a shot to ask if you can ticket an award that pushes the limits. Often agents can override the system and ticket complex awards. Aeroplan has good Star Alliance availability, including on new member Avianca/TACA. While the three sites above offer free insight to Star Alliance availability, Expertflyer allows you to set alerts so that the instant a Star Alliance airline loads award availability, you can be alerted and you don’t have to keep checking online over and over. The current Star Alliance airlines supported for award availability are Aegean, Air Canada, Air China, Air New Zealand, Avianca, Brussels Airlines, Copa, LOT, Swiss (though ExpertFlyer shows the availability of awards that they release to their own members, which is more than what they release to Star Alliance partners), TAM and Turkish Airlines. Award alerts are great because airlines release award seats all year long, leading up until the hours before departure, so setting alerts increases your chances of being able to get your ideal award and saves time from having to search every day. ExpertFlyer also has seat alerts, so for example if you want an emergency exit row seat on a flight, but none are available, you can be notified when one opens up. Check out this post for more on ExpertFlyer alerts. The KVS Availability Tool also loads Star Alliance availability, though it doesn’t give month-long searches like United.com and Aeroplan.com and it is not made for Macs (though you can buy a Windows emulator). I personally don’t use the KVS Tool because it’s all information that can be found on airline websites for free, but some people do like the layout and the fact that it brings multiple airline website information into one screen.